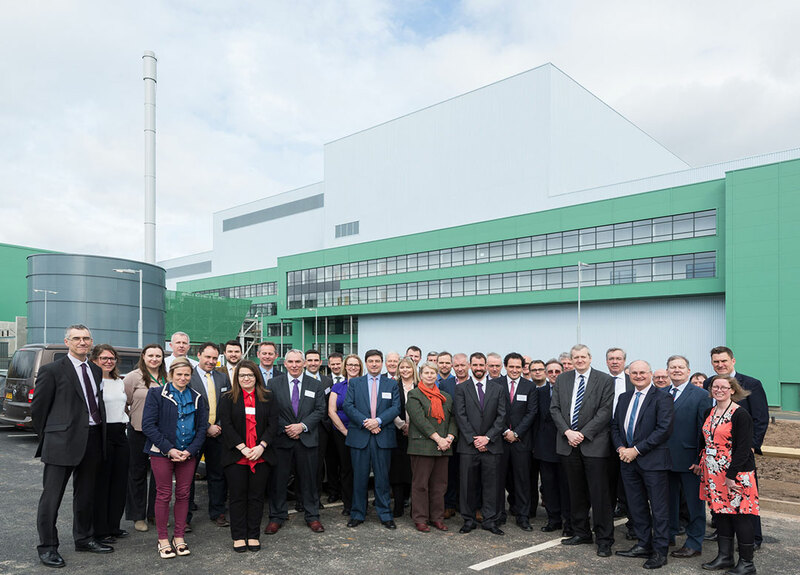 The final piece of the waste management jigsaw for Worcestershire and Herefordshire is now in place, with the official handover of the EnviRecover Energy-from-Waste facility to Mercia Waste Management by main contractor Hitachi Zosen Inova (HZI). The handover follows a 33-month construction programme, which has seen the facility built on time and to specification. EnviRecover is located on the Hartlebury Trading Estate near Kidderminster, Worcestershire. The facility will complement Worcestershire County Council and Herefordshire Council's other waste and recycling facilities, such as EnviroSort at Norton. The Energy-from-Waste facility is the largest single piece of capital infrastructure in Worcestershire and Herefordshire and marks the virtual elimination of landfill in the two counties. It will turn 200,000 tonnes per year of waste into electricity, exporting 15.5MW of electricity to the grid which is sufficient to power all the homes in Kidderminster. EnviRecover was procured by the Worcestershire County Council and Herefordshire Council's waste management contractor Mercia Waste Management. The first waste was delivered into the facility in October 2016 for commissioning trials, and since then there has been a progressive involvement from Mercia’s sister company, Severn Waste Services, who will operate the facility under its Environmental Permit issued by the Environment Agency. Cllr Anthony Blagg, Worcestershire County Council Cabinet Member for Environment, said: "It's great news that the construction of EnviRecover has now been completed, thanks to our close working with Herefordshire Council and Mercia Waste Management. The facility will significantly benefit residents in both counties and make a major contribution to regional renewable energy generation." The handover of EnviRecover was marked by a gathering at the site including Councillors and senior Council officers from Worcestershire County Council and Herefordshire Council, along with representatives from Mercia Waste Management, Severn Waste Services, main contractor HZI and Wychavon District Council. EnviRecover has an on-site visitor and education centre which becomes an integral part of Severn Waste Services engagement support for Worcestershire and Herefordshire, and complements the education programme provided at EnviroSort, Severn Waste Services' Material Reclamation Facility at Norton.